by KENNETH H. HOOD, B.A., H.Dip.Ed. It gives me the greatest pleasure to write this foreword to a unique book - "The History of the Lisnagarvey Hockey Club" published on the occasion of the 75th Anniversary of the Club. Ken Hood has a long association with the Club and the town of Lisburn. A former player with the 2nd XI and Junior teams, he was Club Secretary for 16 years, and for over 20 years he was Head of the History Department at Wallace High School until he retired just two years ago. Perhaps even more important, for many years he was the Senior Sports-master at the school responsible for cricket, rugby and hockey. It was he who so successfully reintroduced hockey after many years lapse, and truly laid the foundation of such a talented nursery for the Lisnagarvey Club. What foresight Kenneth showed as Wallace hockey has developed to stand alongside Friends School, and give the town club a constant supply of some of the provinces outstanding young players. Many of the present administrators and players of the club are products of Wallace High School and a Hood/ Lowry partnership. 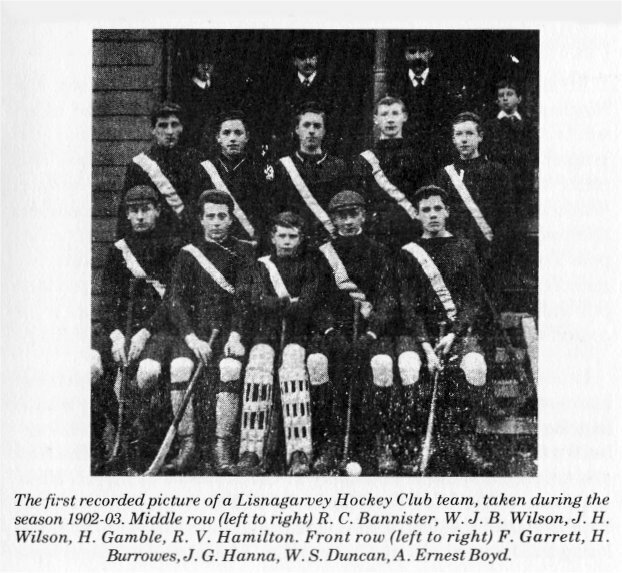 The current Club Secretary W. K. Lowry was taught his hockey by Hood, captained the school team and played with 'Garvey teams for almost thirty years. He succeeded Hood as the Wallace hockey coach and until recently, continued the solid foundations laid down by his "master". Indeed this publication was written by Hood whilst Lowry is responsible for the production - a unique partnership and a tribute to both men. It is a truly marvellous record of a great club as told by a devoted servant - congratulations Kenneth and good luck to you, your proteges, and of course, continued success to the Lisnagarvey Hockey Club. 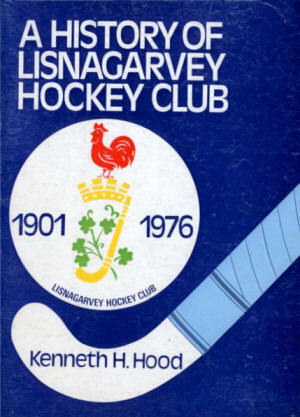 It is a great honour to be asked to write this short history of the Lisnagarvey Hockey Club. My connection with the club date s from 1946 shortly after my release from the Army. Later I acted as Honorary Secretary for 16 years. Like a Dublin hockey fan who wanted to know what was the little village near Belfast with the famous hockey club, my knowledge of 'Garvey was rather limited until I came to Lisburn. It was a club which won many trophies and produced famous players like Gregor McGregor, Harry Greenfield, and the Bowdens, but in the depths of my ignorance I thought it was based in Belfast. For such heresy my sincere apologies to the people of Lisburn generally and to the members of Lisnagarvey in particular. In 1951 with the encouragement of the Headmaster, Mr. T. C. C. Adam, and later with the help of Mr. George Henry, I restored hockey in the Wallace High School. It is a source of deep satisfaction that it developed into a nursery, second only to Friends School, and also has produced men like Jim Reid, John Waring, Billy Lowry and Bobby Richardson who have contributed so much to the club. Another outstanding player and administrator is Bobby Howard but he had left school shortly before my arrival. Such a survey as this will possibly include errors and omissions, and I crave the indulgence of anyone who may be affected. One evening in September, 1901, three young Lisburn men met in the Lisburn Temperance Institute at the bottom of Railway Street. 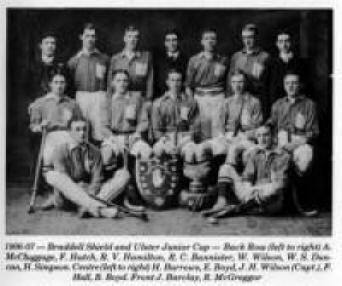 They had an informal discussion about sport in Lisburn, during which the idea of the formation of a new hockey club was mooted. The three were W. S. Duncan, E. E. Wilson and R. C. Bannister. During the following weeks the opinions of other young men were canvassed and before long a meeting was summoned to discuss the project. That date is not known, as no records seem to have been kept. It is known that it was decided to form such a club to be known as Lisnagarvey, the old name of Lisburn. R. C. Bannister was chosen to be Captain, E. E. Wilson was elected as Hon. Treasurer and W. S. Duncan, Hon. Secretary. The subscription for playing members was to be 5 shillings and for Vice-Presidents half a guinea. The club colours would be light and dark blue. The original members were W. S. Duncan, R. C. Bannister, B. Boyd, E. Boyd, F. Garrett, R. V. Hamilton, Hector B. Hanna, J. G. Hanna, N. G. Kilpatrick, E. S. H. Thompson, E. E. Wilson, I. H. Wilson and J. H. Wilson. Later they were joined by H. H. Burrowes, H. E. Gamble, S. McMurray, V. McMurray, G. McGrath, D. McCartney and R. Rainey. The only survivor of that august band is Mr. Hector Hanna, now living in retirement in Dundalk. Not in their wildest dreams could the twenty-odd young men have realized that from these modest beginnings was to emerge what was to become Ireland's most famous hockey club. 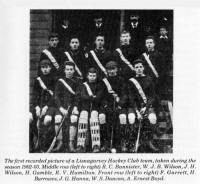 It was not the first hockey club to be formed in the town. That distinction belonged to the Lisburn Hockey Club founded in 1897. Their playing headquarters were on the Magheralave Road at what is now the Friends School rugby pitch. This ground was later taken over by Lisnagarvey and was occupied by them until the mid-thirties. The Lisburn colours were green, old gold and black. Their President, Dr. Keightley in 1899 presented a cup to the Ulster Branch, first won by North Down and now presented to the winners of the Senior League. In 1900 one of their players, 1. F. Robinson, was selected at full-back for Ulster. They were very much the premier Lisburn team, as Lisnagarvey started in the minor ranks, while Lisburn had achieved senior status. During their first full playing season, 1902-03, 'Garvey played only friendly matches with considerable success, the score against Holywood being 15-0. Their most prized success was over local rivals Lisburn 2nd's by 2-1, but games against Cliftonville and Newtownards were lost. A ground was obtained on the Magheralave Road, by the good offices of Mr. J. A. Wilson. The infant club seems to have had its share of teething troubles. Quite a few of the original members were either expelled or "compulsorily retired", the difference is not immediately apparent. This was for various misdemeanours. Indeed it is ironic that in a Club, the name of which, from the Gaelic, means the "fort of the gamesters", any form of gambling, however innocent, was severely frowned on. The power of the committee was limited, and much of the routine business was transacted at a series of special general meetings. Members of Committee were sometimes fined for failure to carry out directives. In the opening season there was a reshuffle with R. C. Bannister resigning the Captaincy and being replaced by W. S. Duncan, Mr. Bannister became Secretary and when E. E. Wilson was expelled he was replaced by J. H. Wilson as Treasurer. In the following year the entire Committee was censured at a Special Meeting and replaced by a complete new Committee. These internal squabbles led to a breakaway of a few members to join the rival and now Senior Lisburn Club, and relations between the two were rather strained. There is a story that on one occassion two 'Garvey members encountered two of their rivals near the drinking fountain in the Wallace Park. High words ensued until one of the 'Garvey pair asked his friend to hold his cuffs while he dealt summarily with the opposition. Finance, or the lack of it, was another problem. There is a tradition that some committee meetings were held in the waiting room at Railway Street Station, hardly with the approval of the Great Northern Railway. Still another special meeting decided to augment club funds by imposing an admission charge of one penny. Later several members were appointed as stewards to ensure that spectators did not dodge their responsibilities. In the same year a move was made further down the Magheralave Road to a field owned by Mr. Watson, and afterwards another ground was obtained off the Antrim Road, the property of Mrs. Norwood, at what is now Bellevue Drive. This pitch was later used by South Antrim Ladies and the girls of Wallace High School. A pavilion was erected by the members themselves. It was decided to lay a cinder floor, and to erect a flag pole. Toilet facilities were provided to the extent of two basins, two mirrors, soap and towel. It was also proposed to paint the pavilion but this was thought to be too costly and instead it was to be coated with Halls Distemper, the cost not to exceed five shillings. In 1903-4 the club made its first appearance in competitive hockey in the Minor League. They won 11 out of 16 league matches. 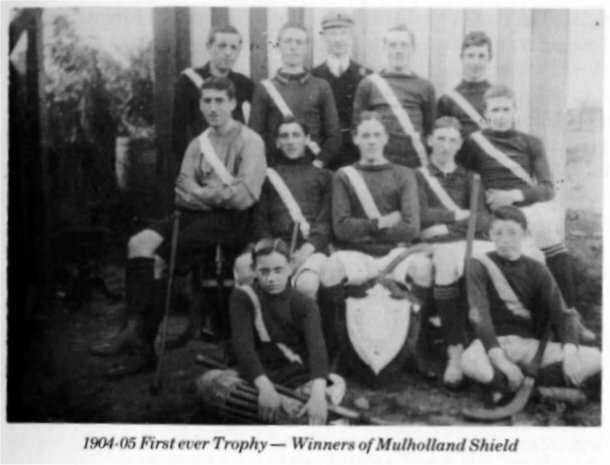 In the following year came greater success with an unbeaten league round to capture the Mulholland Shield, the first ever trophy. It was out in display in the premises of Mr. H. Kirkwood one of the Vice-Presidents. In addition they reached the Final of the Minor Cup defeating Monaghan in the Semi-final but losing to Downpatrick at Cliftonville. The successful team was: W. J. Wilson; H. B. Hanna; B. Boyd; A. McCluggage; A. T. Annesley; J. H. Wilson; A. E. Boyd, (Capt. ); F. G. Hull; R. C. Bannister; J. H. Simpson and N. B. Kilpatrick. The season saw the foundation of a Ladies Section and in their first year the Ladies won the Junior League title. Their subscription was fixed at half-a-crown. For the next few years a running fight developed between the Ladies Branch and a section of the Men's Club. Could it have been that this was the era of the Women's Suffrage Movement and that certain "Male Chauvinist Pigs" believed that females should be kept firmly in their places! However, every year, and in some, more than one attempt was made to get rid of them. A proposal was made to stop all mixed matches and the campaign culminated in a motion in 1906 that the Ladies Club be forthwith "exterminated or dissolved". This drastic measure failed to reach the necessary majority as did another to expel their main officials. After this relations seemed to improve although the Captain and another official were expelled later for failure to carry out club policy. Nevertheless, there is no doubt that the Ladies played a big part in club development, particularly in the raising of funds. This is clearly shown by the effort to keep the Ladies Branch in being in later years when it seemed likely to fold up, and also the paramount part the women played in the Bazaar of 1910, and by its reformation after the war. After the initial success the club was accepted into Junior League circles in 1905-6 and made its debut in the Irish Junior Cup. They won 11 of its League matches and reached the final of the Irish Cup. So great was the enthusiasm that Wallace Duncan came back specially from Manchester to play in the Semi-final against East Antrim. The final was played at the Leinster C.C. against Monkstown. 'Garvey established an early two goal lead through Hanna and Bannister, but Monkstown rallied in the second half and equalized just on time. There was no score in extra time, but the much more experienced Dublin side made no mistake in the replay winning by 5-0. The 'Garvey XI was H. Simpson; F. G. Hull; J. H. Wilson; W. S. Duncan; F. Hatch; A. McCluggage; H. H. Burrows; R. C. Bannister; E. Boyd; H. B. Hanna; B. Boyd. Incidentally it was nearly half a century before Lisnagarvey eventually won this important trophy, a competition which has been dominated by the 2nd XI over the past two decades. Season 1906-7 was even more successful. Under J. H. Wilson the Junior League was won with only one defeat by a team called Silverstream. Even more important, the Braddell Shield also came to Lisburn. In the semi-final, they just got the better of Silverstream after a replay, and in the Final they disposed of Downpatrick 2nd XI. Senior status was achieved in the next year, a remarkable rise in only five years. With a membership of 60, the Club could now field three elevens although the Thirds played only friendly matches. Success breeds success, as in the previous year it had been difficult to field a Seconds side. 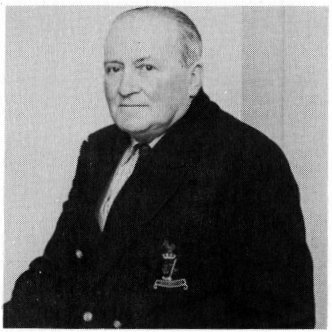 Then came another milestone in Club history, after being selected as substitute Fred Hull was capped against Wales, his first cap, and the first won by a 'Garvey player. The 1st XI cut little ice in the Senior League. In 1909-10 they entered for the Irish Senior Cup but were routed by Queens' University. They did succeed in drawing a League match at Banbridge and it became one of their major ambitions to beat "the Bann". Bric-a-Brae (Including book of sport) �64. 0. 4d. Excelsior Stall: �48. 2. 2d. In this year Lisburn Hockey Club ceased to exist and Lisnagarvey acquired their ground in the Magheralave Road at Friends School.Although the Antrim Road pitch was retained, the cost of maintaining two pitches put a heavy burden on Club finances. Season 1908-9 saw the first cross channel tour to Llandudno and Chester. These tours became a feature of Club life with visits to Glasgow and Edinburgh in successive years and to Manchester and Chester in 1913-14. So for the first time the name of Lisnagarvey became known across the water as the touring sides met with considerable success against top class sides such as Cartha and Rutherglen. In 1909 mainly due to the work of J. G. Hanna a Debating Society was formed as a subsidiary activity but it must have had a rather short life. 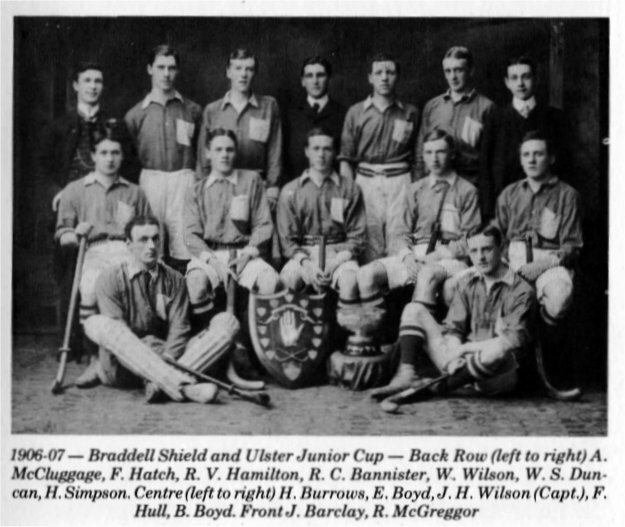 Although the 1st XI failed to win any trophies in the pre-war period, the Junior 3rd XI won the Mulholland Shield in 1910 and the 2nd XI annexed the Braddell Shield in 1912-13 when the 1st XI finished third in the Senior League, the highest place yet achieved. In 1914 they reached the Final of the Kirk Cup in which they drew 1-1 with Banbridge and lost a hard fought replay by only 3-2, the nearest yet to that long awaited success against their greatest rivals. As early as 1908 a juvenile team had been formed. It is interesting to look at the names. In addition to Skipper F. Allan the other members were George Bannister, F. Rice, S. Kilpatrick, Q. Dunlop, C. Carson, N. Russell, John Wilson, William Wilson, Tom Malcolmson and Charles Garrett. Among these, many were to figure in the First World War and in the success of the Club after the "War". In studying the history of the early period, certain names keep re-occurring in every aspect of club activity, particularly such as R. C. Bannister, J. H. Wilson, A. E. Boyd, F. Hull, W. S. Duncan, R. V. Hamilton, and the brothers Hector and Jim Hanna. During the second decade there emerged the names of men like Fred Rice, George Bannister and Ernest Browne. These were the men who by their hard work and devotion guided the Club through its early formative period and the difficulties of World War I. What is even more important is that it was they who did so much to build up and firmly establish what is called the "Garvey Tradition" which has persisted down the years. Naturally, as time went on most of the original and early members dropped out, some due to death, others left the district, and others when they grew older no longer took the same active interest in the Club. Four of those Gentlemen continued to take such an interest throughout the whole of their lives until their deaths in very recent times. 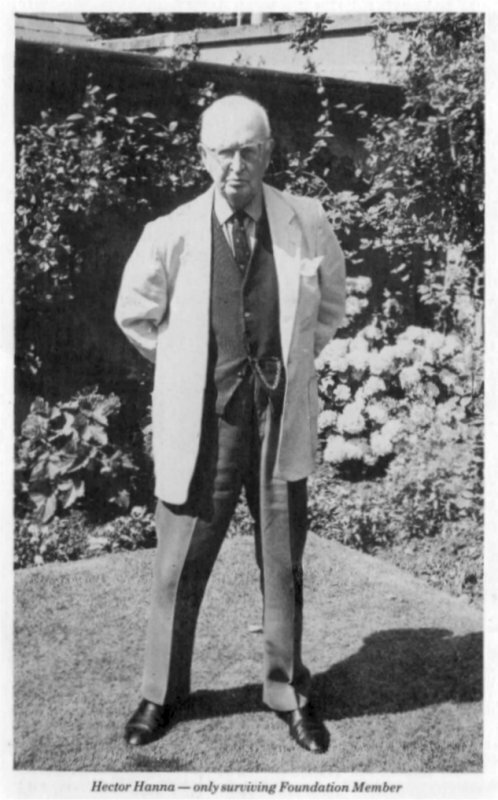 First there was R. V. Hamilton an original member, Captain of the 1st XI, administrator in various offices and finally Patron of the Club until his death. A quiet man, of keen intelligence with a remarkable sense of humour, he was regarded with deep affection and respect by all who knew him. Then there was his close friend, James G. Hanna who also served the Club in various capacities and was for many years President. When he relinquished this post he remained a Trustee and his advice was often sought on financial matters. Of a very different temperament to Mr. Hamilton, he will be remembered for his frank speaking. The name of Ernest Browne ranks very high. He too captained the 1st XI, was a highly efficient Secretary and a member of the famous team of the 1920's. His career was cut short by illness, but on his return to Lisburn he will be remembered for his generosity and interest in the progress of the Junior teams and members. He was a conscientious Justice of the Peace. As a member of the Board of Governors of the Wallace High School, he encouraged the growth of hockey and cricket in the School and was a great help-to me in both School and Club affairs. Finally, there was his contemporary George Bannister who held all the important positions including Captain and was both an international player and umpire. In later years ill health prevented him taking as much active interest as he would have wished but that interest remained until his death and even beyond, because the Club benefited from a legacy in his will.